let someone else handle the details? Then, consider these tours from Viator? You don't have to be on your honeymoon to enjoy this one-week itinerary from Split to Dubrovnik that takes in Croatia's most celebrated towns and islands. Anyone will enjoy the romance of ancient towns, fine architecture, idyllic beaches, artfully decorated hotels and the exhilaration of being part of nature. I've assumed that you fly into Split and out of Dubrovnik. You can do it in reverse of course. The nautically inclined might want to take a cruise or charter a yacht. Otherwise, I strongly recommend that you rent a car for this itinerary as you'll save time and be better able to explore the islands. 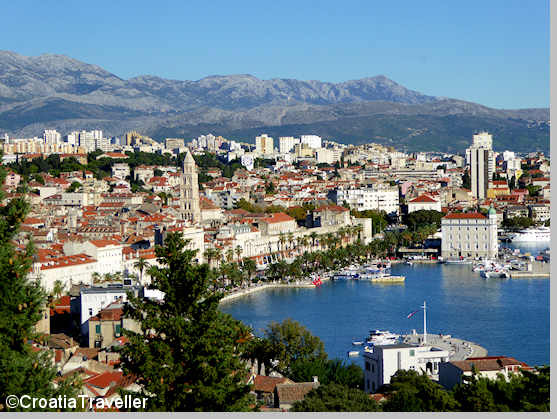 Split is one of the Adriatic's most exciting port cities with beaches, bars, restaurants and Roman ruins. 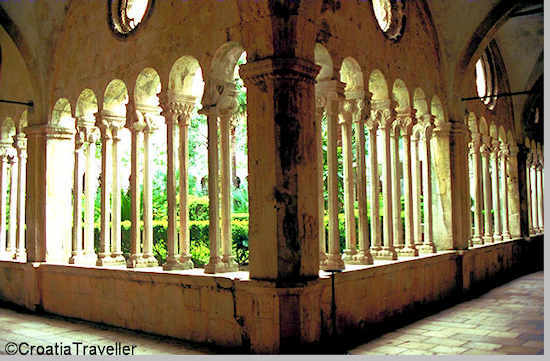 Soak up Split's eventful history by exploring Diocletian's Palace, a Unesco World Heritage Site, in the morning. 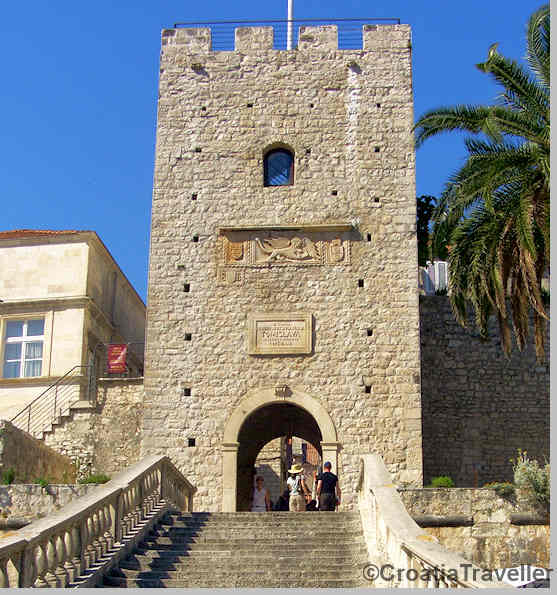 In the afternoon, drive or take a bus to the Unesco site of Trogir, less than an hour away. It's an architectural jewel with finely-sculpted facades and historic churches. Recommended Hotel: Piazza Luxury Rooms "Exceptional"
Head to Hvar Island either by passenger ferry or via a car ferry to Stari Grad. 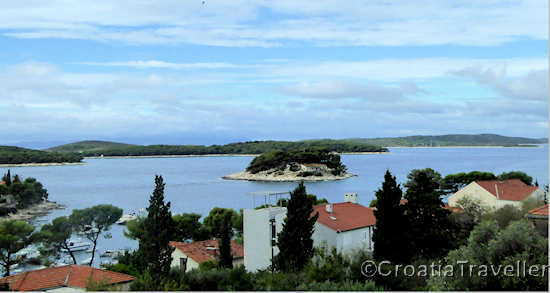 (see getting to Hvar Island). Hvar is one of Croatia's most celebrated islands, mainly for stylish Hvar town, ancient Stari Grad and a lush interior dotted with mountain villages. Stroll Hvar's yacht-studded harbour, climb up to Fortiza for the views and finish the day in one of Hvar's legendary cocktail bars. Recommended Hotel in Hvar: Holiday Home City Walls "Exceptional"
Make a day trip from Hvar town to the gorgeous Pakleni Islands, only a short boat ride away. Or, visit Stari Grad, one of Croatia's oldest towns. Head to Korcula Town, the alleged birthplace of Marco Polo, either by passenger ferry or driving (see getting to Korcula). The walled town is a striking example of Venetian architecture, particularly its impressive gate. 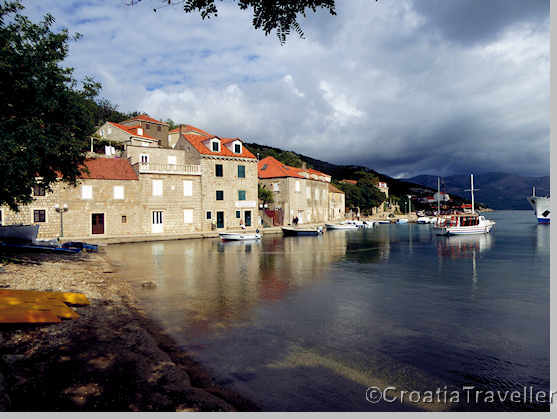 Korcula is alleged to be the birthplace of Marco Polo. 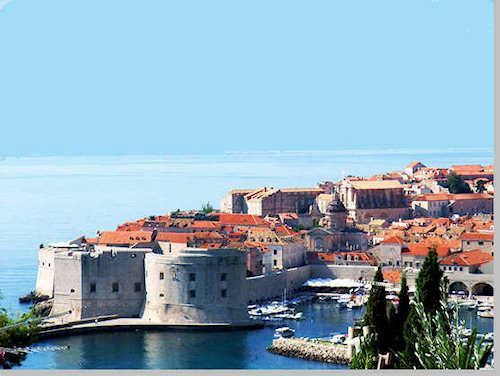 Recommended Hotel in Korcula: Lesic Dimitri Palace "Excellent"
Recommended Hotel in Dubrovnik: Villa Dubrovnik "Exceptional"
Walk Dubrovnik's famous walls and explore the old town, visiting the Franciscan Monastery, Rector's Palace, and Dominican Monastery. Pamper yourself with a day trip to one of Dubrovnik's offshore islands: Lokrum (where parts of Game of Thrones was filmed) or Mljet Island National Park or the Elaphiti Islands (above).